A cheese plate is one of the easiest go-to entertaining tricks in the book, one I use on the regular (I'm a busy woman, after all). 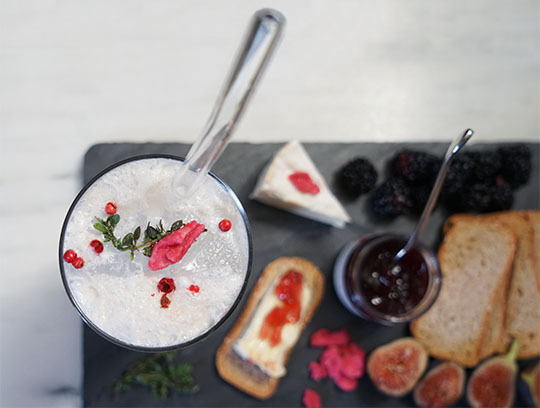 Guests always love a decadent cheese platter complete with all the accoutrements - crackers, jams and spreads, and fresh fruit and veggies - but what is the perfect beverage to serve? 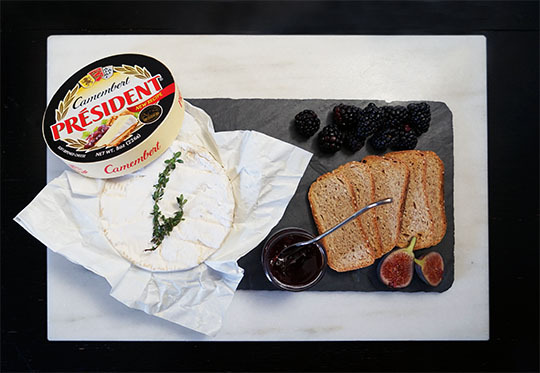 For your next party skip the wine and try a cocktail pairing to go with your cheese plate! 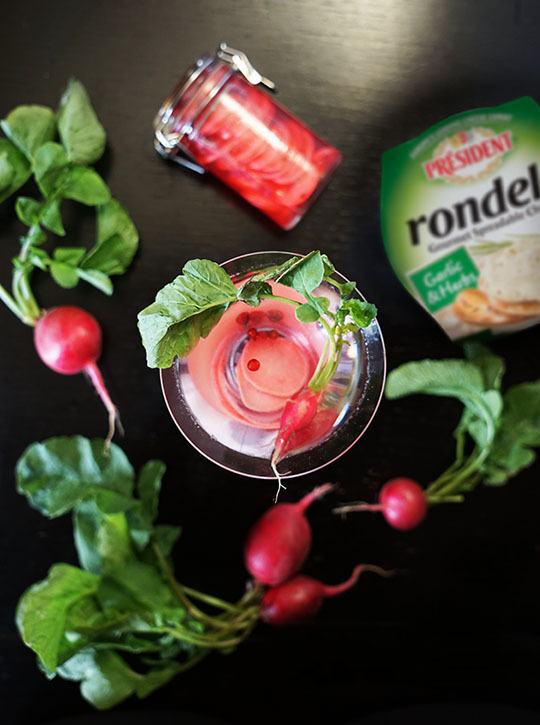 First up is one of my favorite snack combinations - fresh radishes served with Président Rondelé Garlic and Herbs Cheese. This cheese is creamy and spicy - loaded with herbs and spices that go really well with really well with spicy radishes - and they look really pretty on a platter. My trick? Take two extra seconds to put the cheese in a bowl, an easy trick that makes people think you slaved away all day making your own cheese spread! 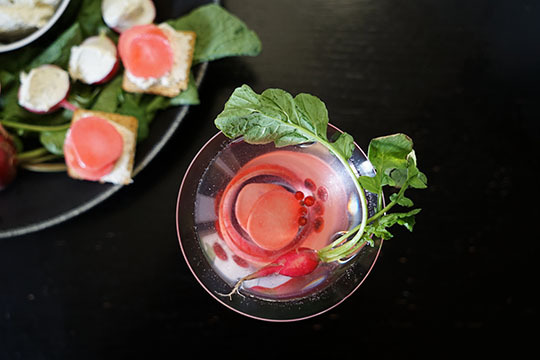 I pair this platter with a Pickled Radish Gibson made with quick pickle radishes, vodka, and dry vermouth. 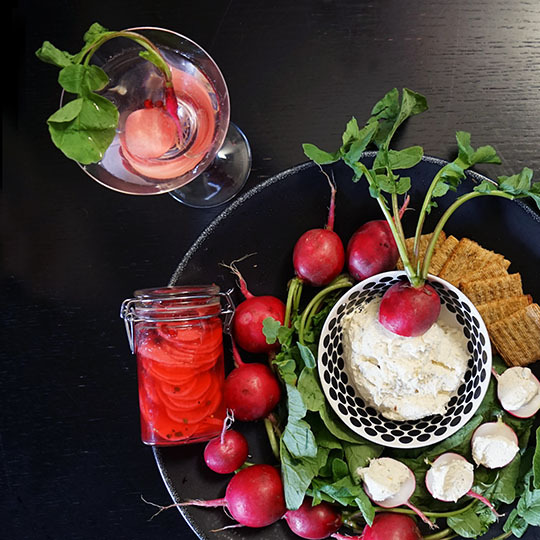 You can even use serve up the rest of your pickled radishes with your cheese platter for snacking. 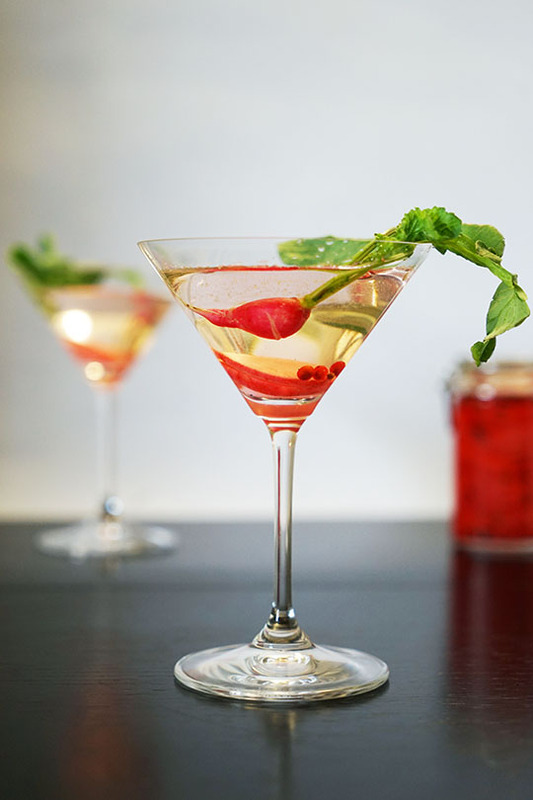 Stir with ice, strain into a chilled cocktail coupe. 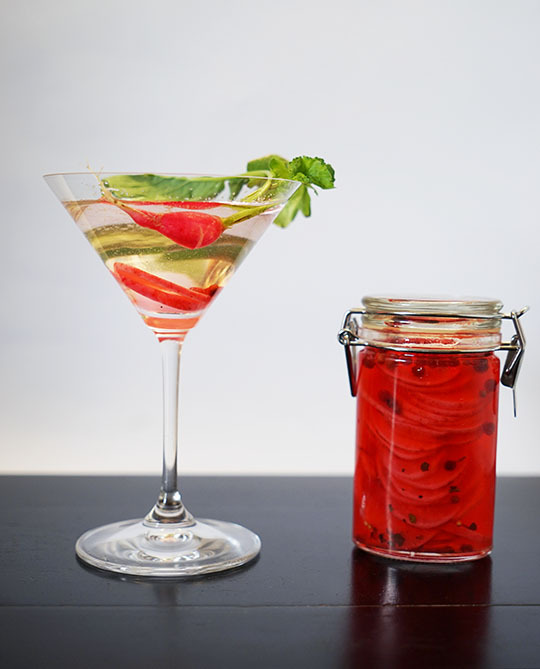 Garnish with a pickled radish slice and a fresh baby radish. Clean radishes and slice thinly. 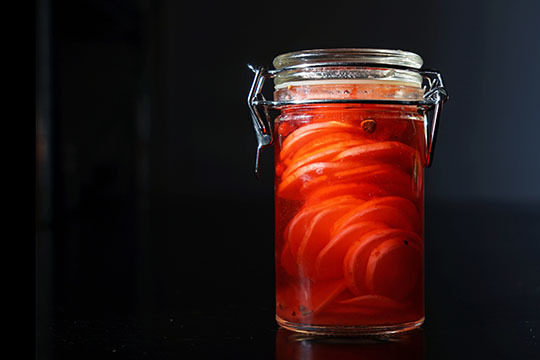 Pack ramps into a pint-sized jar along with dried red chiles, bay leaves, fennel seeds, and pink peppercorns. Bring white wine vinegar, sugar, salt, and 1 cup water to a boil in a medium saucepan, stirring to dissolve. 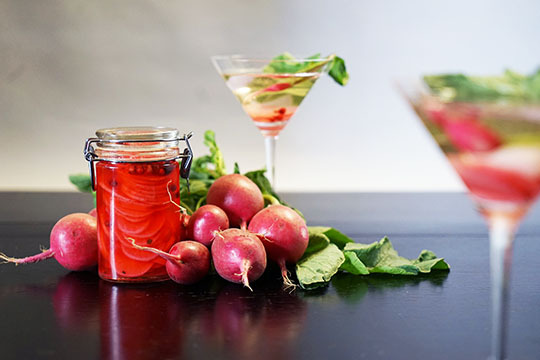 Pour over radishes to cover. Seal jar. Let cool, then chill. 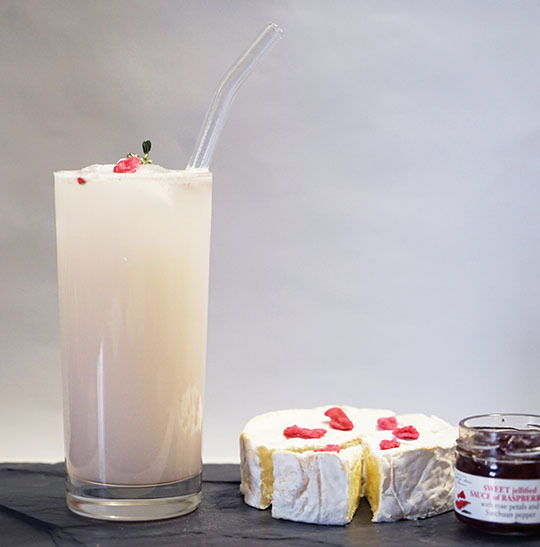 My second pairing is a simple cheese plate of Président Camembert and a sweet and savory Raspberrry Jam made with Rose and Szechuan Peppers served with a Rose and Raspberry Ramos Gin Fizz. 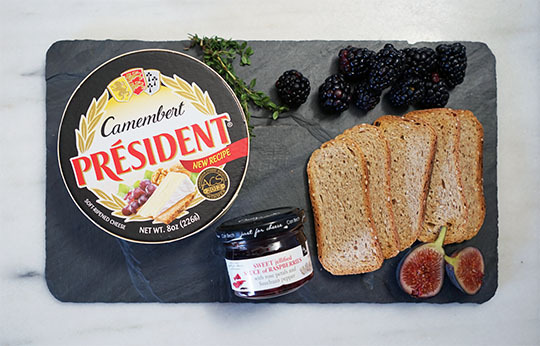 You can use any jam for this pairing, the trick is to find something that is sweet and savory so it can pair with the cheese as well as in the cocktail. A Ramos Gin Fizz is a classic cocktail that comes from New Orleans, and is made with Gin, Simple Syrup, Egg Whites, Cream, and topped with soda water. 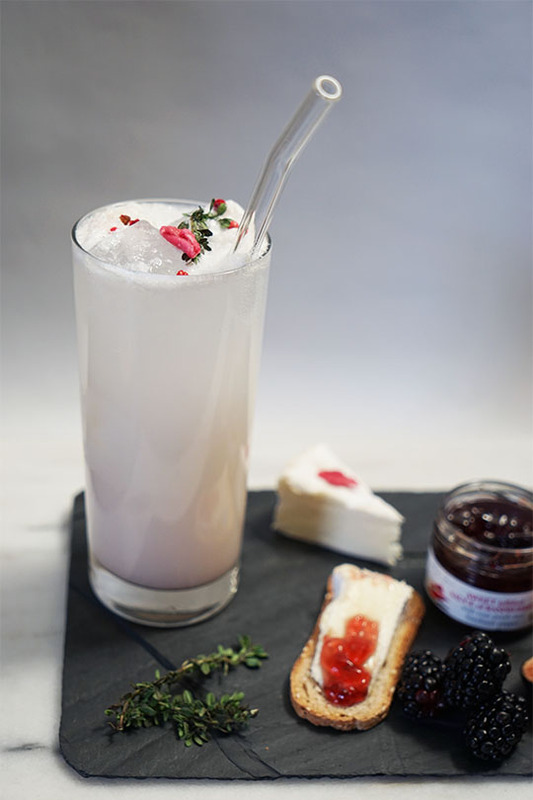 The Ramos Gin Fizz is an excellent vehicle for flavor - the cocktail accentuates flavors and the texture of the drink is like a fluffy dessert-like cloud. Add ingredients to a boston shaker and shake vigorously for your dry shake. Add ice and shake again for about 30 seconds. 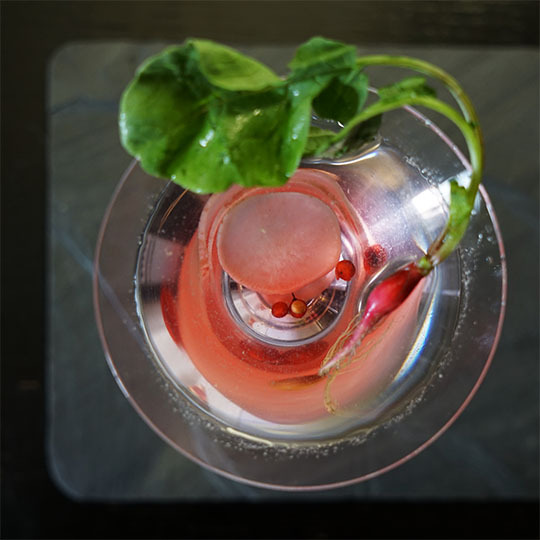 Strain into a highball glass and garnish with a candied rose petal, a few pink peppercorns, and a sprig of fresh thyme. This is a sponsored post written by me on behalf of Président Cheese. All opinions are 100% mine.